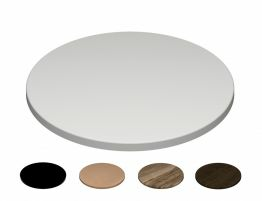 These table tops are manufactured in Turkey by Gentas, using the renown resin moulding process. 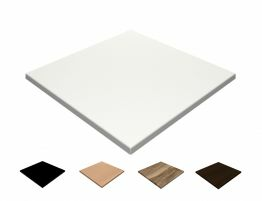 Available in a select range of sizes and finishes, these tops are durable, weatherproof, inexpensive and attractive. 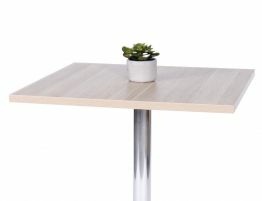 The foundation of each Gentas table top is a mix of quality hardwoods and softwoods, kiln-dried and blended with synthetic resins as well as anti rot and anti moisture agents. This mixture is compressed at 140°C under high pressure before the hardwearing and decorative layers are applied and inseparably moulded together. This method produces high quality table tops which are seamless, hygienic, functional and suitable for indoor or outdoor use.